The game you love, supersized. Embossed wood tiles are 150% larger than before, easier to see and handle. 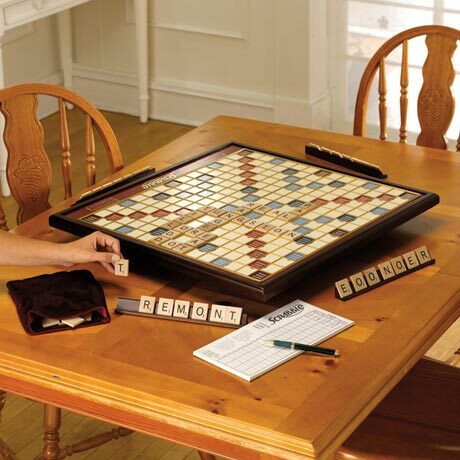 Oversized rotating wood board is more fun, and its raised grid holds the tiles in place. Even the wood tile racks, pouch and scoring pad are bigger. Board, 25" sq. For 2-4 players ages 8 and up. Allow up to 4 weeks. No rush delivery or gift box. Item can only be shipped within the Continental US.